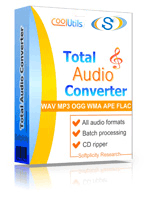 Convert MP4 to WAV audio files online in a few seconds! Run the MP4 to WAV Online Converter or take a batch Tool for more! Description WAV file extension is related to a digital audio format that is used for storing sound tracks with lossless quality. It allows saving audio data with different bitrates and frequencies. The standard configuration is 44,1 kHz, 16 bps, stereo. WAV files have much in common with AIFF files, but they are based on RIFF technology instead of AIFF. WAV files are mostly used on Windows platform, being supported by Windows Media Players and other programs. Most often codec is MS ADPCM.